When did the MGTA started? We started in 2009 and in 2011 the MGTA (Mauritius Golf Tourism Association) started to officially work alongside the MTPA (Mauritius Tourism Promotion Authority). 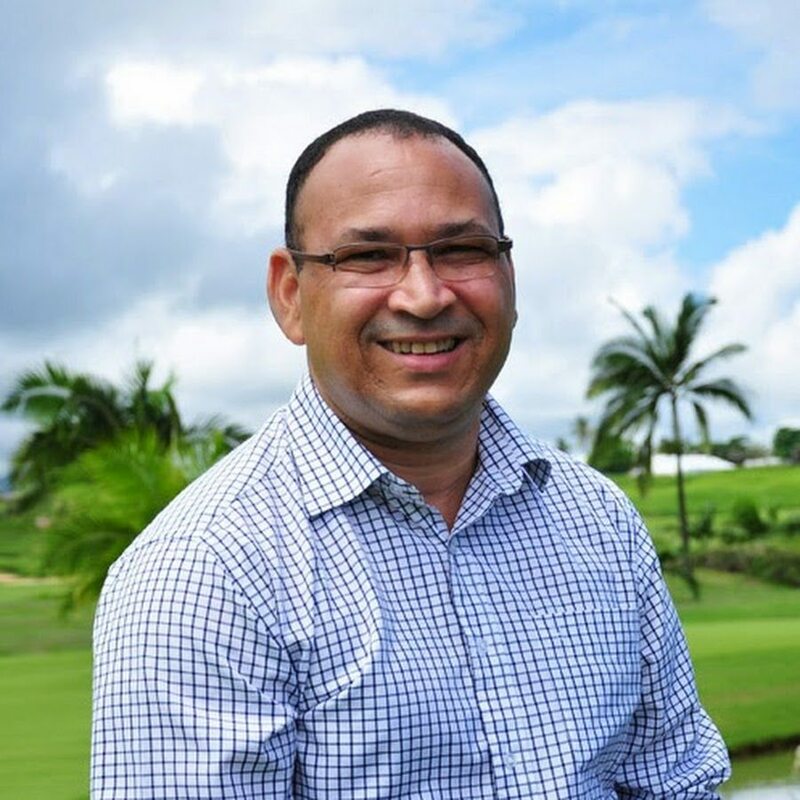 We saw the potential of golf in Mauritius and wanted to implement an organisation that was going to be credible and at the same time representing the entire golf industry in Mauritius. The office of tourism in Mauritius which is the MTPA has really helped us at the beginning to put in place the structure, whether for the association or for the scoring of the golf courses. The MTPA helped us to invite French referees to come to Mauritius for the accreditation of the golf courses in Mauritius. What is the vision of the MGTA? The vision is to become the reference for the tourists in terms of golf promotion in Mauritius and to gather all the golf actors to promote the destination. The fact that all of our members are members of the IAGTO (International Association of Golf Tour Operators) made it possible to meet other golf professional in different golf fairs whether in Europe or Asia. We want to put every golf actors under one banner called Golf in Mauritius. The aim is to unite all the golf actors and be of mutual support. What is the strategy put in place for this vision? In 2014, we invited the president of IAGTO who in 2002 came to evaluate the potential of the golf industry in Mauritius. The Government invited him to work out a strategy to develop golf in Mauritius up to 2020. The government wanted to have an idea of how to develop golf in Mauritius in terms of real estate and we combined these with the IRS projects. One of the aim was that in the next 4 years we have an annual growth of 12% of golfers. We would then concentrate specifically on the low season, to attract the maximum of golfers. One of the operation done in the low season is the golf pass. We already have a big international tournament, the Afrasia Bank Open endorsed by the European, Sunshine and Asian Tour and people are starting to know Mauritius as a golf destination. All these events and operations are being done to put Mauritius on the world golf map. Mauritius will nearly reach 1.5 million of tourists. Out of this amount, what percentage are golfers? We have calculated at 1.2 million and we reached 60,000 golfers which is about 6% of the amount. One thing you must know and I will insist on it, the golfer in general spends about 20 – 25 percent more than the normal traveller and this is proven by IAGTO. Their expenses in the five star golf resort hotel and the various expenses in the pro-shop as each golfer loves to go back to his country with one or two polo shirts and golf specific souvenirs. This is one of the pride of golfers, to be able to say, “I was in Mauritius and I played this and that golf course.” I believe that this number is call to grow with all the efforts being done. We must be able to increase the amount of golfers coming to Mauritius by starting of course with the Asian who travels a lot specially during our low season. In our race to be known as a golf destination, we find ourselves in competition with strong golf destinations. What will make our difference? The difference will be in the whole destination, mainly in the service which is very important. The golfer loves to be pampered. The golfer, whether the French or English, sees the difference may it be in our service, the Mauritian smile, and hospitality. Mauritius is also a paradise destination with stunning beaches, sensational activities, rich culture, and an interesting history. At the same time, if a golfer comes with his family, the kids can join the mini clubs or teens club for various activities, the woman can try different activities such as the spa and if she plays golf she can even accompany her husband. In other destination, a lot of golfers prefer to travel with their group of friends, because if they go with their wives and they do not play golf it may be an inconvenience for them. In Mauritius, the difference is that there are a lot of activities for the non-golfer and children. Another alternative would be the hotel golf packages which includes the rounds of golf. The non-golfer can benefit of all the hotel wide range of facilities while the golfer is enjoying his game. This has been successful for Mauritius these last few years.